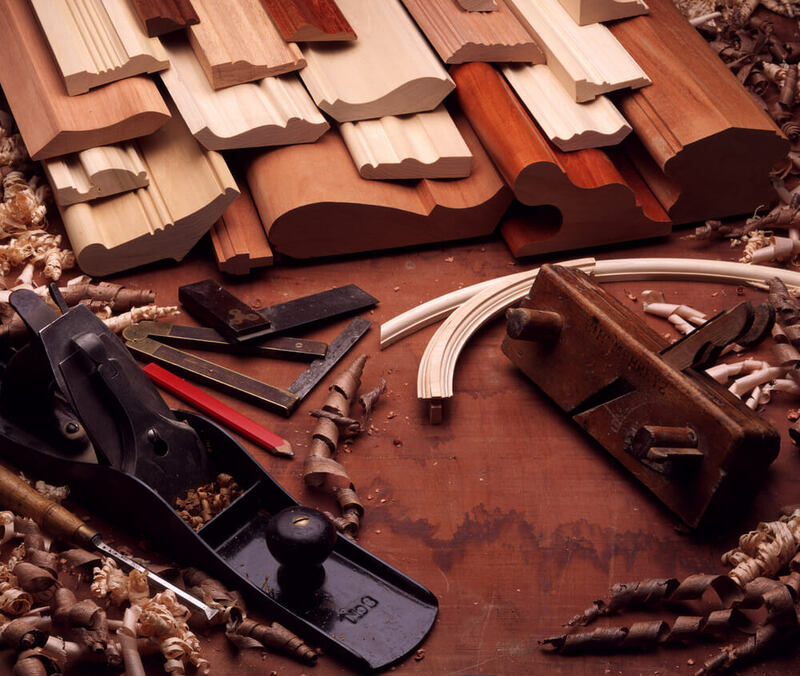 We’re your best source for the highest quality, incredibly beautiful built-in cabinetry in the Wichita, Kansas area. 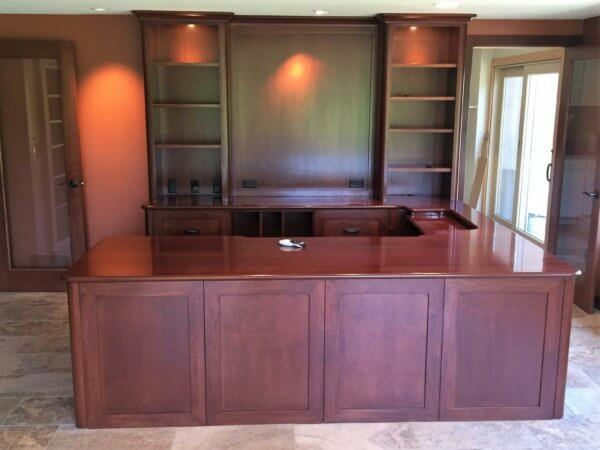 At Records Custom Cabinets and Trim Carpentry, we design and build lots of custom bookcases and built ins! 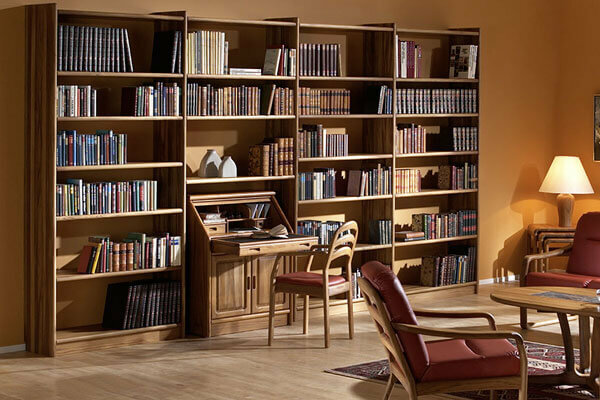 Our custom built bookcases are built with your space, needs and budget in mind. 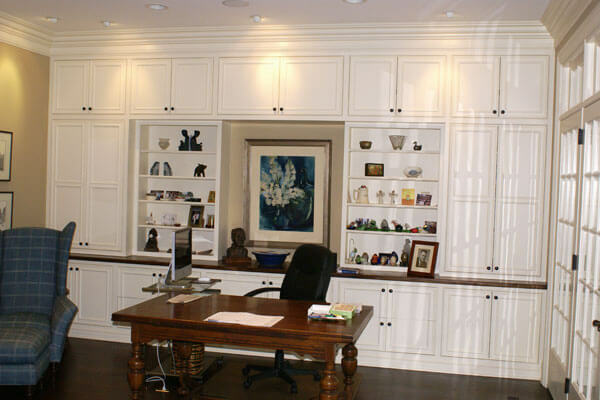 Whether you desire a simple built in bookcase or an elegant wall of custom cabinetry for your home office, we can accommodate you. 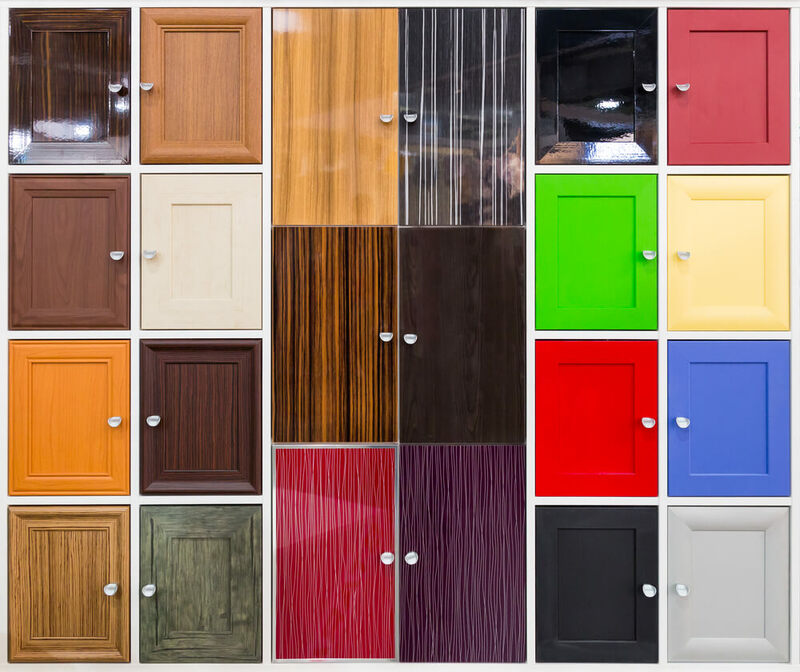 Like all of our custom cabinetry, our custom built bookcases and built-ins are available in a wide variety of domestic and imported hardwoods, and are available unfinished, stained or painted. 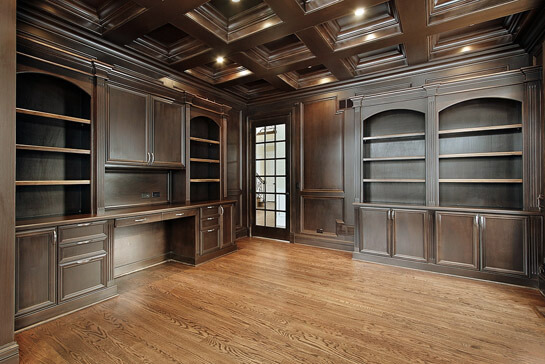 Hidden pull-outs, glass doors, carved columns, built in desks and secret doorways are just a few of the customizable options available on our beautiful built-ins and custom bookcases. We can also add lighting, glass or wood adjustable shelves, and even drawers for a completely personalized, furniture quality complement to your home. 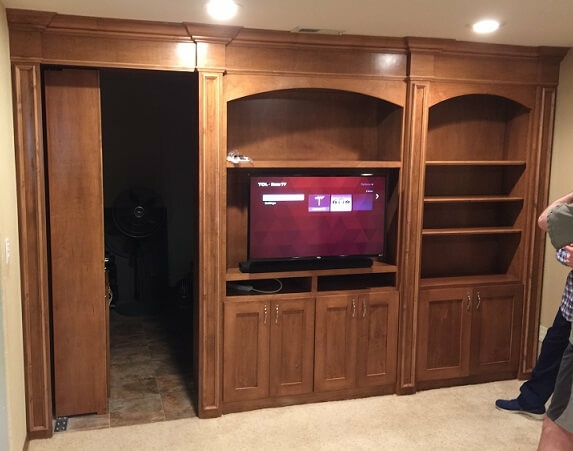 We custom build lots of custom bookcases, built ins, and entertainment centers, but one of our favorite projects are hidden doors to secret rooms, built into our cabinetry. 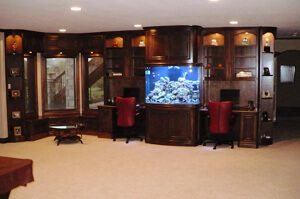 Whether you want a fun secret door to your man cave or an invisible door to a panic room, we can build it! Our experienced craftsmen can design, build and install your hidden bookcase for a seamless, invisible installation that will fool even the most discerning eye. 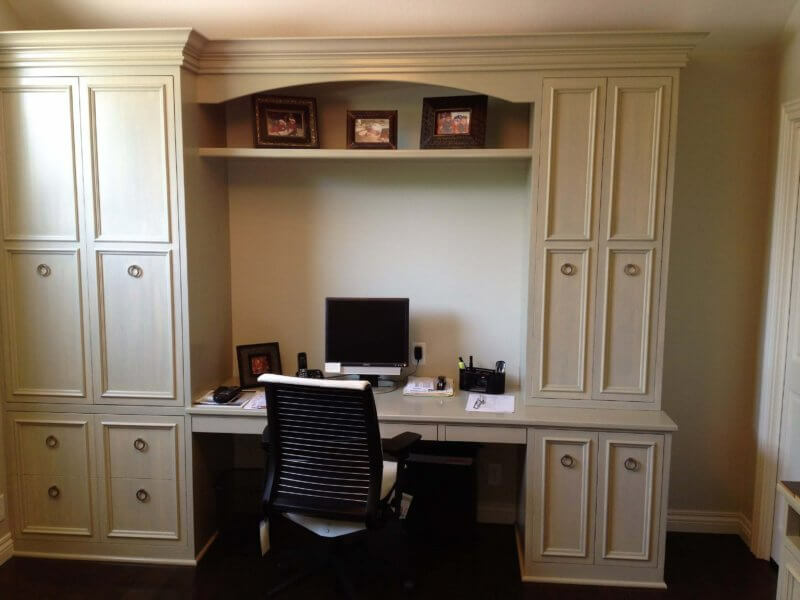 A custom built desk and cabinetry can really set your office or study apart from the crowd. We can incorporate storage for all your typical office supplies and files, as well as hidden storage for printers, computers and whatever else you might need close at hand. We can help you design a space with little or no exposed wiring, a comfortable work space, soft close drawers and cool features that can only be found in truly custom desk cabinetry. 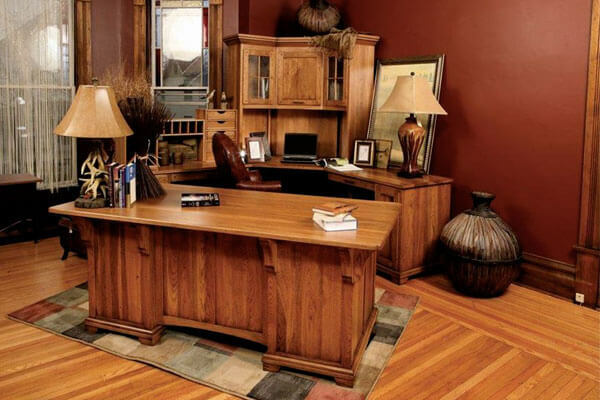 Our desks can be found in the finest estate homes as well as many businesses in the Wichita, Ks. area. As a fully custom shop, all our projects are built one at a time, insuring an attention to detail that is second to none. Having a hard time picturing what your new custom built ins or bookcase might look like in your space? 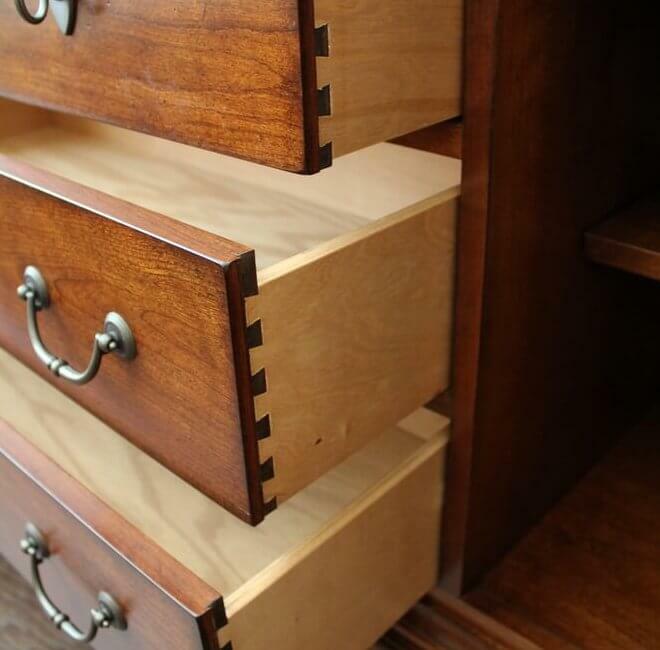 Not sure if your new custom bookcase would look better in oak, knotty alder or mahogany? 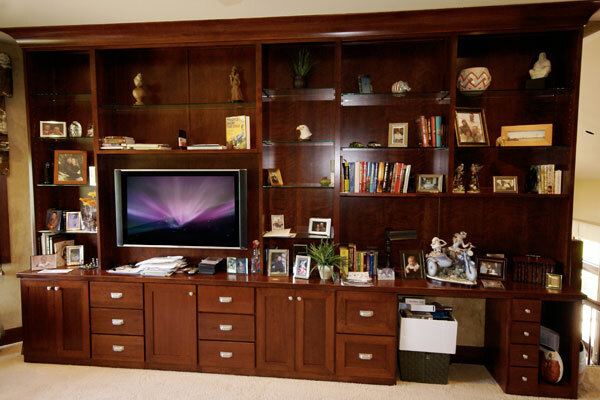 Our computerized bookcase and built-in design service can help! 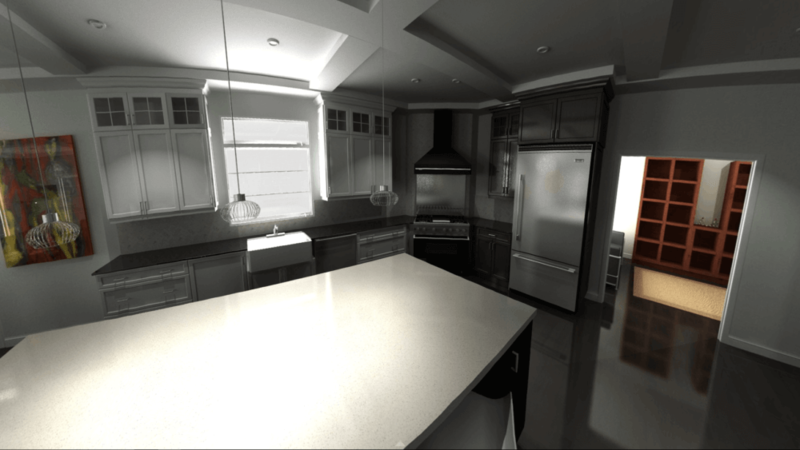 We can design your custom cabinetry with our cutting edge software and depict your built-ins virtually, allowing you to see an accurate representation of the finished product before the first piece of lumber is even cut. 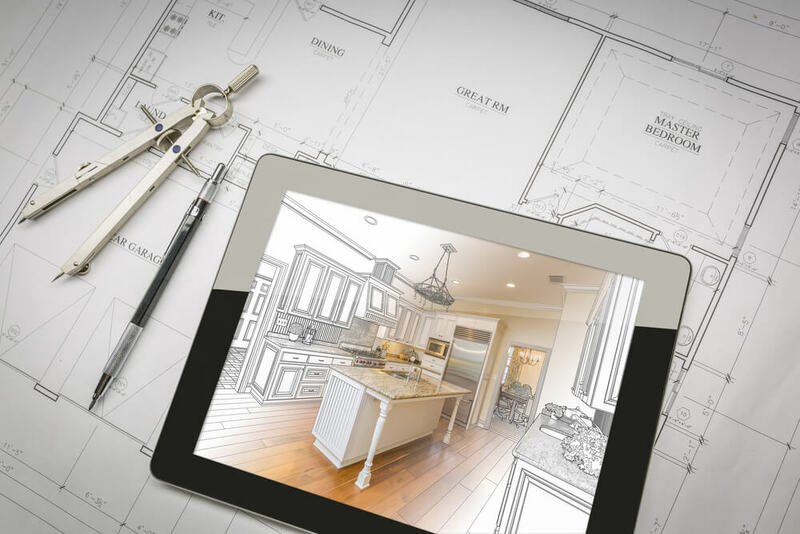 Whether you’re planning to remodel your existing office, study or library or build a whole new space with tons of built-in cabinetry, call us today at (316)733-6800 or contact us online to speak with one of our project managers about your custom built in project.